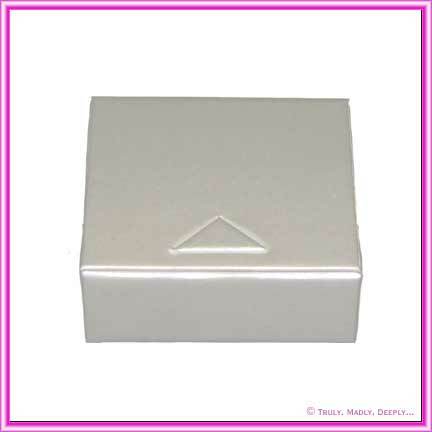 Great Value - Rigid Box BB Pearl White - Magnetic Flip Top Lid. Box BB Pearl White - Magnetic Flip Top Lid. Colour perfectly matches Stardream White / Quartz. Measures approx. 7x7x2cm and can hold 3 foil wrapped chocolates or 5 or 7 sugar coated almonds.